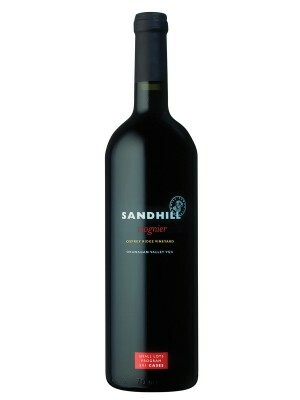 The Sandhill Estate Vineyard is one of six that comprise the winery’s portfolio. The others are Phantom Creek, King Family, Osprey Ridge, and Hidden Terrace in the Okanagan, and Vanessa in the Similkameen. A single vineyard wine is literally that: wine made strictly from that particular site, and no other. A single-vineyard, though, need not be fully dedicated to one grape. 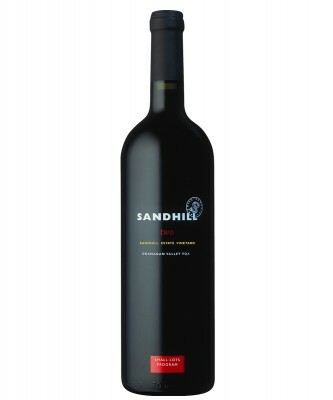 Sandhill Estate, for example, has 24 blocks within its 151 acres, and the blocks are planted with up to a dozen different grape varieties. Growing up a grocer’s son in Vancouver made Soon an astute observer. “I noticed how my dad treated each customer with respect,” he says. “It seemed they weren’t just coming for supplies, but to chat. That made a huge impression on me, and as I moved along in my career, I always made it a point to listen well, and to respect people.” In the ever and increasingly competitive Okanagan wine industry, where fruit might fetch $1,200 per ton one year and $1,800 the next, continuity and strong relationships are vital. There are some illustrious names among the growers Soon works with, all of them with long histories in the region, and a pretty much unified understanding of what quality in the vineyard means. Richard Cleave, Robert and Nathan Goltz, and Rod and Don King all are part of this constellation. When Soon says they are exploring and learning, vintage by vintage, he means it. But what is that, actually? Is it planting such things as barbera, sangiovese, and viognier, to see what happens? Not that it is idle curiosity, of course. Soil samples, climate, heat units per day, it all goes into the equation. 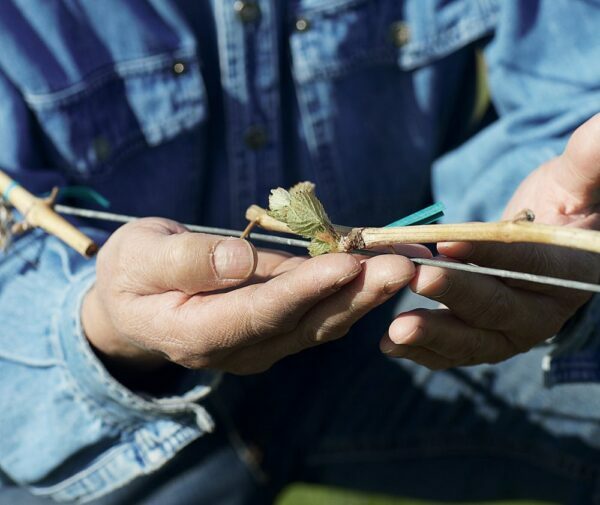 But it takes a certain kind of inquiring mind to simply ask if a particular plot of land might yield better sauvignon blanc than pinot gris, or syrah rather than merlot. And when it comes to wine and wine-growing, results are usually measured in years, not in a season or two. Soon got his start in the wine business with Andrés Wines after graduating from the University of British Columbia with a biochemistry degree and spending some time in the brewery business. Eventually he moved on to join Calona Vineyards, which had evolved from a sacramental wine business in the 1950s into an entry-level vinifera wine company, and Soon was there for most of that. “I remember the first vinifera grapes planted at Nk’Mip, way back when. We had an idea that soil good for growing fruit trees should be good for growing wine grapes, but honestly, no one knew for sure,” he says. Still, it was a solid, educated guess of sorts, and Soon’s intuition and his ability to forge good relationships with other intrepid individuals such as Jim Wyse and Ian Tostenson meant he could develop the Calona portfolio at an excellent price-to-quality ratio. 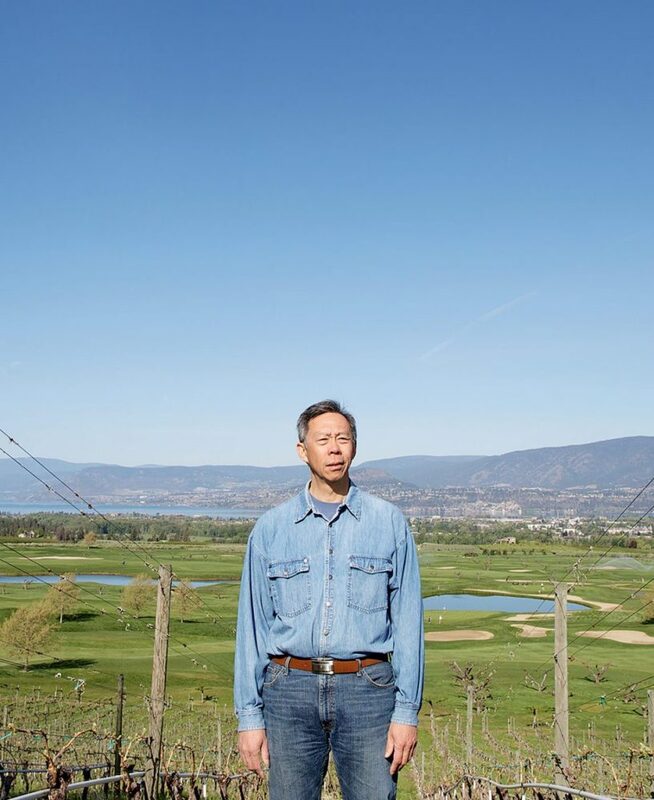 In fact, Soon may well one day write the book about how the Okanagan emerged as a world-class wine-growing region, and even into a wine destination that drives tourism at a level virtually no one could have really anticipated 20 years ago. By the time Andrew Peller purchased Calona, Red Rooster, and Sandhill, and committed to reinvigorating Peller Estates, there was already momentum. And the passion and economic prowess of Peller meant Calona and Sandhill could evolve even further. Through it all, Soon continued to lead a great team, both in the vineyards and in the winery. “Lead, don’t tell. That was my mantra, always.” He pauses, smiles, and then nods. There is also the Small Lots program. Limited production, and sometimes idiosyncratic choices, such as sangiovese, barbera, and even Tuscan blends, mean Soon can really stretch his imagination as to what might work, and where. Syrah, for example, is found throughout the Okanagan, particularly as you move southward. But at Phantom Creek Vineyard, the syrah is unique, unlike anything else in the region. Soon acknowledges, “We were surprised at the high quality, but not shocked, I would say.” Vineyard owner and manager Richard Cleave had some pretty specific notions of how well syrah would do, and Howard made the most of it. They can only produce somewhere around 300 cases of the wine a year, but it wins awards at a torrid pace. 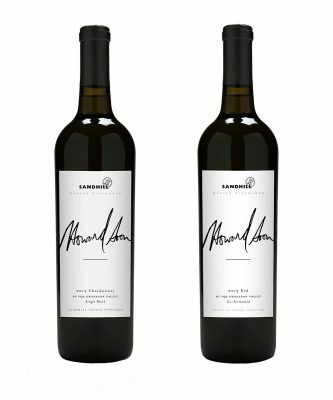 It is a wine that represents the unique characteristics of a specific block of vineyard, but also illustrates the fact that it is possible to grow and make wines here that distinguish themselves in any comparative tasting. That is probably the secret for long-term growth and sustainability for the Okanagan. People will want the wines because they are unique. Merlot, syrah, chardonnay, and on down the list, they are not the same here as they are in Washington State, California, or South America. 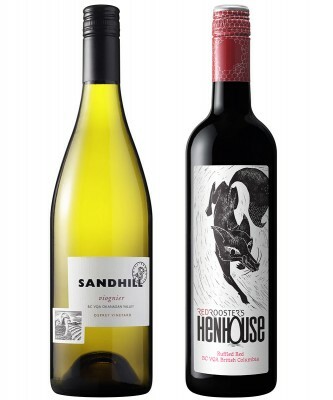 Sandhill Small Lots wines can sometimes be tiny indeed, sometimes as few as 95 cases. They are all worth seeking out, partly because at $28–$40, they, too, are great value. But also because they all tell the story of how great the potential is in the entire region. The 2012 Vancouver Playhouse International Wine Festival had a Sandhill Small Lots winemaker dinner, over which Soon presided. He told a few jokes, recounted some anecdotal history, and explained some of his winemaking philosophy. Seated across from him at the dinner was Christopher Gaze, Bard on the Beach Shakespeare Festival founder and artistic director. Gaze, who has known Soon “a very long time, though I shan’t say just how long,” rose at the end of the dinner to regale the guests with a story or two about the wines, and how strongly Soon supported the arts. The oratorical gifts Gaze is blessed with were on high flame. “I will conclude by saying, to our friends here, but to you, Howard, that you are passionate, highly intelligent, and a wonderful dining companion. The truth is, Howard, you are a brilliant man.” Gaze returned to his seat, looked at Soon, and said, “I meant every word.” The various bottles standing on the table, most of them empty, bore silent witness to it all. The wines themselves reiterate Gaze’s truthful and accurate remarks. Spot on.